Writing is a creative, yet solitary endeavor. What makes it worse is that writers, unlike painters or sculptors, don’t really have anything to frame or display when they are done other than a thick stack of typing paper, which is not very glamorous. That’s why it’s always fun to get a new book cover of an upcoming publication. 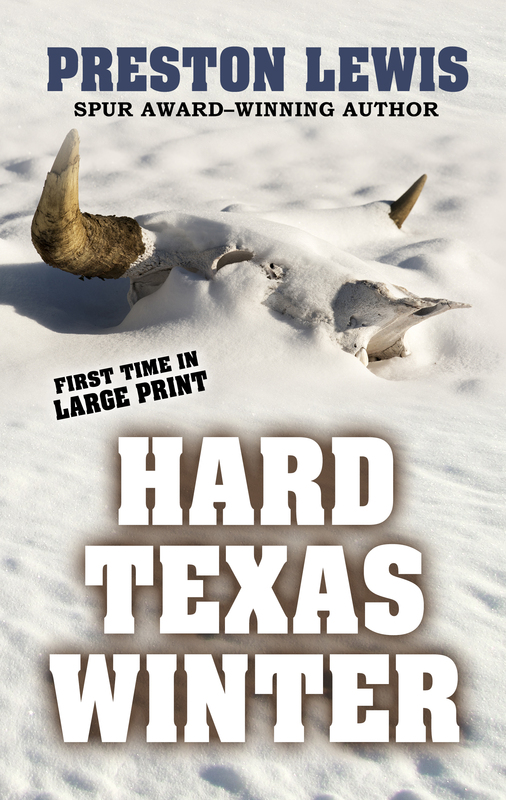 This one is special because Hard Texas Winter, my first published novel, is scheduled to return to print in June from Five Star Publishing, which is bringing it out in a large-print edition. I got into writing westerns quite by accident. When Scott was born, I realized I was going to need to start bringing in extra income to put that boy through college. I didn’t want an outside job since that would take me away more from the family, so I thought I could try writing. But what? Then I read in the newspaper that Bantam was conducting a first western contest with a prize of $10,000, if memory serves me correct. So I started typing my novel on an IBM Selectric (not the self-correcting model, so it was tedious) and sent it in by the deadline. The manuscript remains the only one I ever completed without a word processor, which as Elmer Kelton once told me “takes the pick-and-shovel work out of writing.” He was right. I wrote Hard Texas Winter so long ago that there was no such thing as FedEx or United Parcel. So I sent my manuscript by certified mail with a return receipt requested to make sure they got it and I wouldn’t worry about any delay in fattening my new son’s college account. However, it didn’t take Bantam long to review my submission because I got their rejection letter back before I got the return receipt saying they had received my manuscript. Even though I didn’t win with Bantam, I did have a finished manuscript to circulate among publishers and Tower picked up the Western. 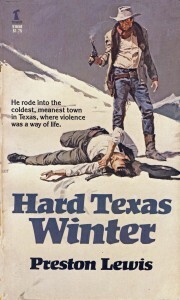 The original title was Winter Stay, but they changed it to Hard Texas Winter. Years later, a Bantam editor (not the one who had rejected Winter Stay) told me that books with Texas in the title always did better than other Westerns. That’s true for me as Hard Texas Winter was my first book and Blood of Texas won me a Spur Award for Best Novel. 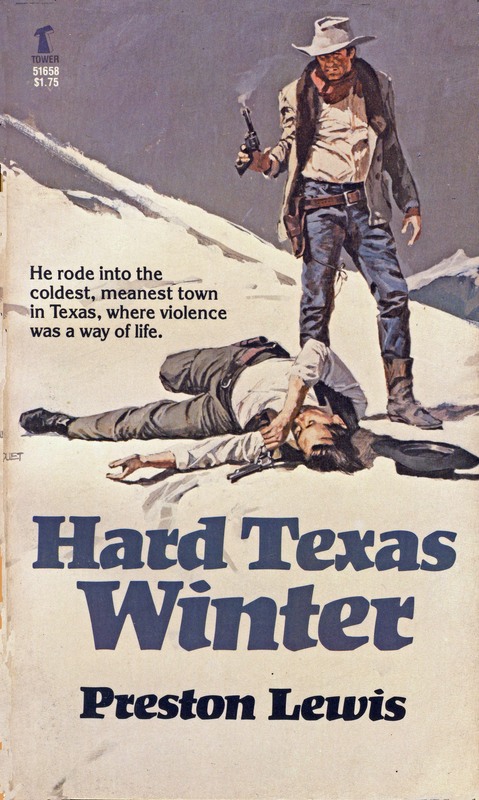 So, it’s great to see Hard Texas Winter back in print, especially with such a striking cover. Thanks to Five Star for picking up the book and bringing back such pleasant memories. 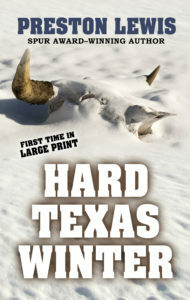 Hard Texas Winter, the first of my 30 novels over the years, opened up several doors for me, including affiliation with Western Writers of America, as fine and welcoming an organization as I have ever been associated with, and the opportunity to meet dozens of wonderful writers over the years.